From drum kit to hand drumming instruction, Richie takes a hands on approach that is fun for all ages and levels. Drum kit sessions are conducted in a one-on-one environment with two drum kits side by side. With 20 years of drumming experience, from venues to festivals to studio sessions, Richie has gained knowledge and experience in all areas. 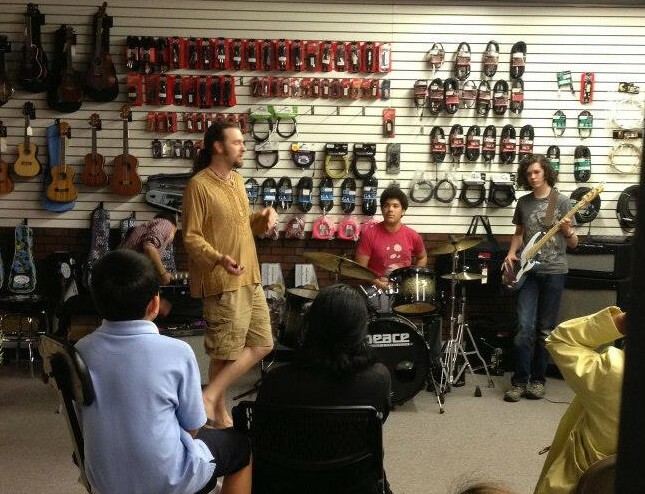 Richie currently teaches from his home studio in Tucker, Georgia, and is a staff member at Pepperland Farm Rock Camp in Murphy, NC and Chicago Joe’s Rockin’ Blues Camp in Atlanta, GA during the summer. Rock, funk, Latin, blues and reggae–you can learn it all with Richie. Turn off the X-box, sit down behind a real drum kit, and experience your true passion for percussion! Photography by Mike Sears, Light Train Studio. Site construction by Portal Production, Ltd.